I have another mission this year. I felt the sudden inclination to search my long lost friends. Let me relate the story behind this. I mentioned in my 2015 Postcard Challenge that I have letter writing friends back in High School. I used to be very diligent in writing and sending letters. When I entered college, I lost all the interest to write. I allowed the few years of friendship to drift and fade away. And honestly, this is something I really regret. 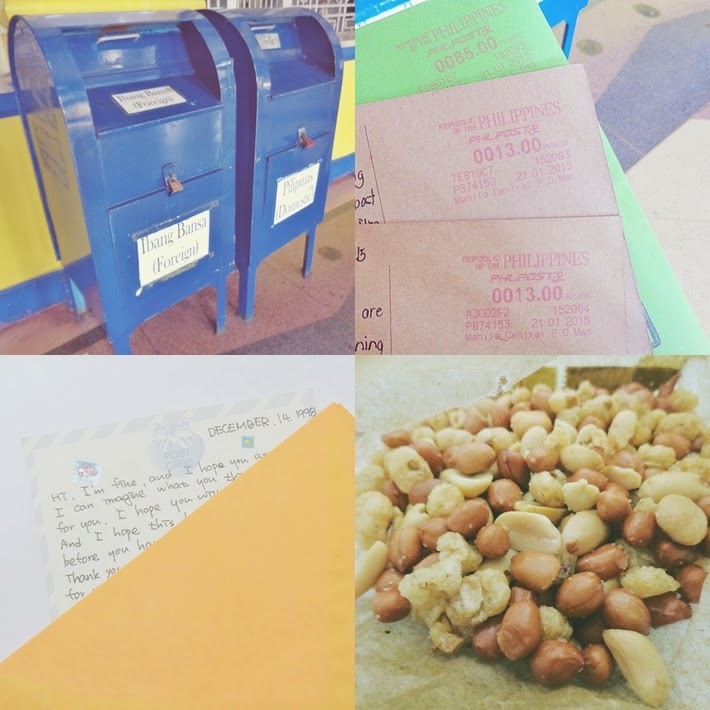 If I pursued exchanging letters, I have 7 penfriends in 17 years. Almost another treasure and milestone for me. I'm not exactly sure what prompted me to unearth this supposedly closed chapter of my life. I guess it all started when a blog friend, Marieken opened the possibility of exchanging postcards. Since I work near the Post Office and the sentimental fool in me was suddenly awakened, I wanted to write letters again. Weeks after, I was already sending postcards to a few blog friends. Along the way, memories of my letter writing friends dawned on me. I checked my drawer of old letters and from there, I saw tons of letters I received way back 1998. Of the 7 penfriends I had, I was successful finding at least one. I wanted to search for everyone but my heart is longing to prioritize my two friends from South Korea. For those who know me well, the reason is very obvious. Blame all the drama series that affected me and my intensifying dream to see the Land of the Morning Calm. Going back to the real intention of this post, the recent revival of my love for letter writing prompted me to search for my two long lost penfriends from South Korea. I took all the letters I received from them. I wrote my own letter after 17 years and reintroduced myself. I also photocopied their letters way back 1998 and all the postcards, photos and other gifts I received from them. 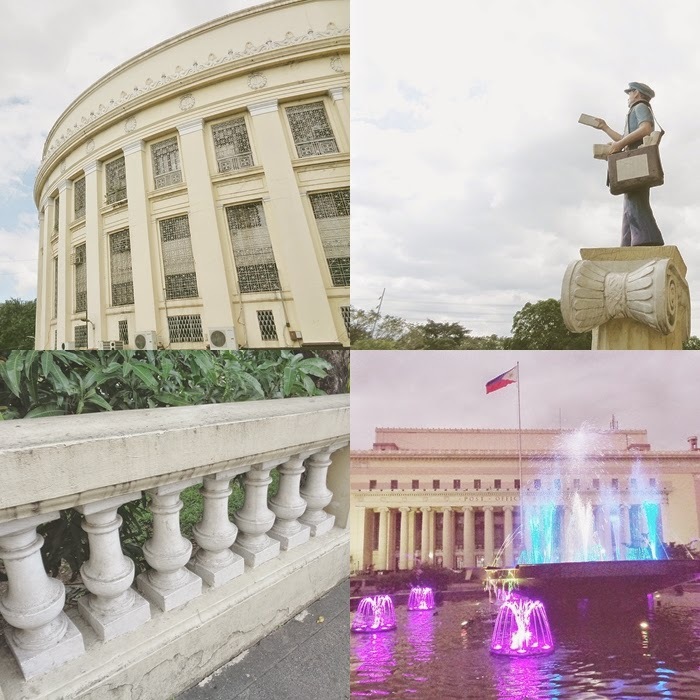 I compiled everything in a huge envelope and went back to the Manila Central Post Office to fulfill the first step of my dream. I already considered the possibility that my two friends already moved to new addresses. They may already have their own families or migrated to another country. It's a big possibility, given that I'm writing after 17 years. But part of me still wanted to consider the opportunity and take the slightest chance. 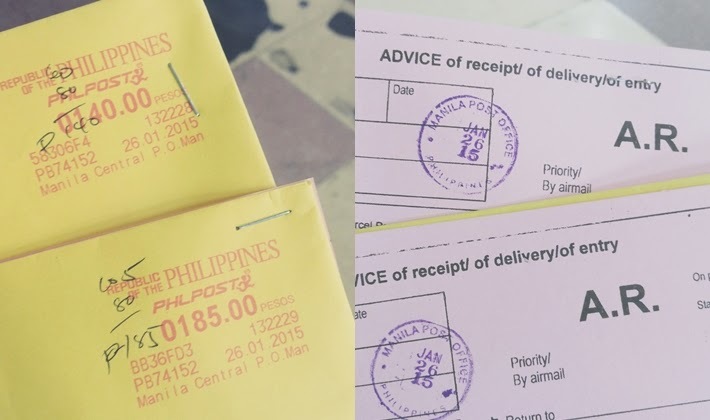 My two letters were sent via registered mail. It's a little more expensive but I considered safety and feedback. Should my two friends are nowhere to be found in their old addresses, the letter can be safely returned to me. If my letter successfully landed on them, at least I would know even though they decide not to answer my letter. If such is the case, I would of course respect their decision. If they will reply to my letter, this would definitely become one of the best and happiest things that will happen in my 2015. As much as I'd like to maintain the anonymity of my two Korean penfriends, I'm also considering the chance that my blog can serve as a bridge to this personal dream. Hence, I'm mentioning the names of my two penfriends. I tried searching their names through my different social media accounts, only to find users who are way younger than me. Haha I'm sure it wasn't any of them. My long lost friends share my age, don't ask me to mention it. hahaha But seriously, if I'm able to reconnect with at least one of them, I would surely be the happiest. UPDATE: I was able to successfully reconnect with Jae-un in less than one week!! See the details in this post. The past week has not been so good at the workplace. My projects are running smoothly. I almost don't have any problems at all. The minor trouble arose from some people who failed to perform their work. The unexpected headache... My long weekend was almost ruined if not because of a few friends who consoled me. When I related my sentiments to my friends, my initial intention was to seek their assistance on how to handle my little misfortune. I was hoping to be enlightened. Much to my surprise, we all ended laughing about all those people causing the inefficiency. Call us mean but I guess, laughing is always better than planting another seed of stress. Prior to the long weekend, I secured documents from several government agencies. This is actually when all the problems were discovered. 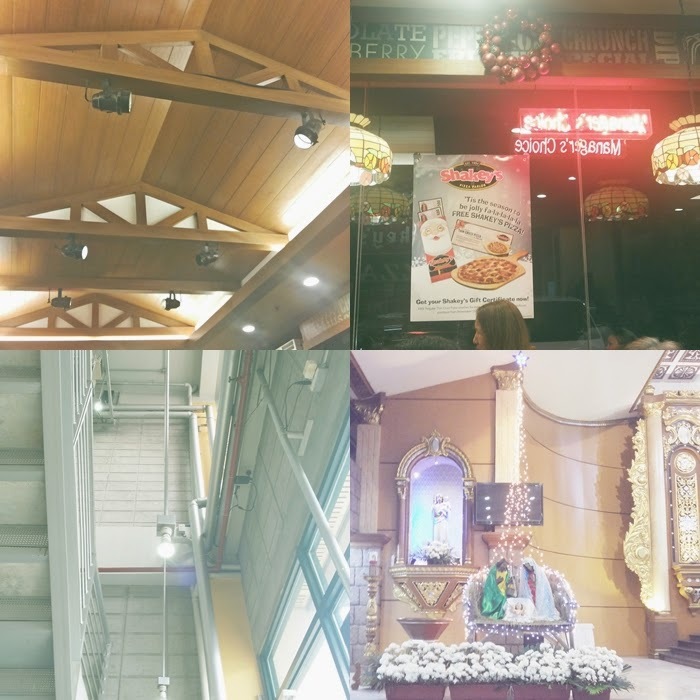 On the way back to the workplace, I felt refreshed to see some places I used to frequent. Please don't mind the electrical wires, I always find beauty to this blue and white building. There are a lot of fastfood chains and local banks on the ground floor. This area never fails to gain foot traffic, I just don't know if they share the same appreciation with this beautiful infrastructure. Another new / old beautiful building - I love that the owner decided to construct the building inspired by neoclassical architecture. 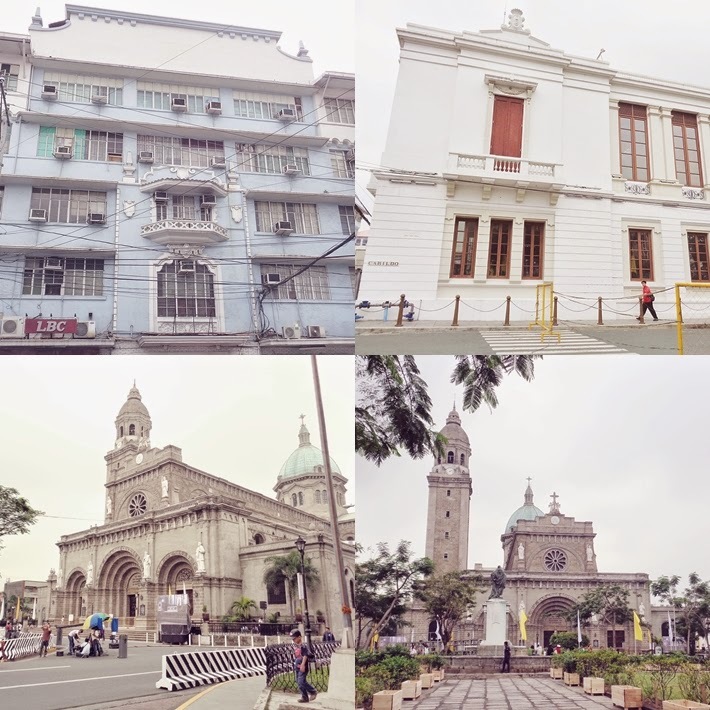 The Manila Cathedral - No doubt about the beauty of this hundred year old Cathedral. 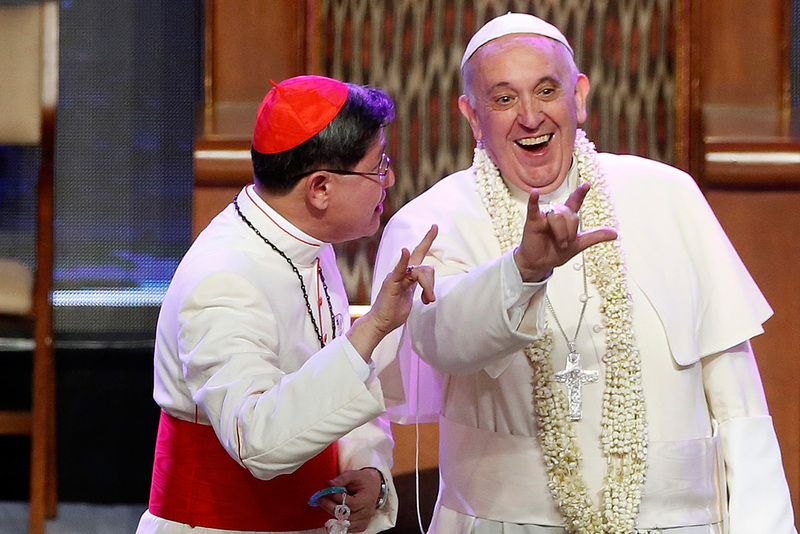 I saw a handful of foreigners who are probably part of Pope Francis' advance committee. Had a quick trip to Binondo to buy a simple present for the Boss' birthday - I have to find the famous peanut kiosk in Binondo. Thanks to my friend W, we found the most coveted peanut kiosk in Hormiga St. I should have taken photos of the queue of lines. There were locals and foreigners joining the crowd of excited buyers. And just because it took me a lot time and effort to purchase bags of peanuts, I treated myself to my favorite "dirty" street ice cream. Cute signage from a homegrown burger place - Chevy Burger, I hope to see you soon again. Feeling Korean - I have been seeing this bottle of soju from 7-11 for the longest time. I didn't want to buy it from the 7-11 store near the workplace. I wanted to protect my image as a good teacher. LOL This weekend, my cousin joined and supported my curiosity. She purchased one from another 7-11 branch.. away from home and the workplace. Haha We googled different ways on how to enjoy soju... The outcome: it was just too strong for us! Our excitement made us forget to read the label which states 19% alcohol!!! Les Miserables 1978 (I think) - The priest who saved Jean Valjean from the police reminded me of Pope Francis. 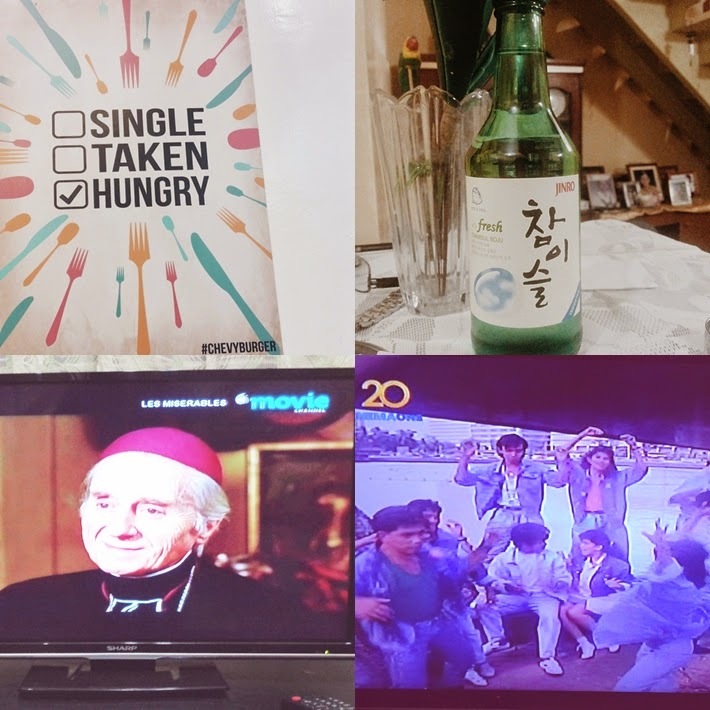 The Production Number on old local films - One thing we always laugh about the old local films (Era of Manilyn, Lotlot and company), there has to be a full dance production number. Long before Glee and High School Musical started, there's always the Filipino local films equipped with full production number. Most of my Filipino friends have probably encountered your post declaring Boracay as the worst island you have visited. That hurts! Like many of my fellowmen, it felt like another nationality oppressing our Filipino pride. I hope you understand why we felt this way. We love our country, despite its imperfections. The first time I saw your controversial post repeatedly shared in my Facebook newsfeed, I found your words quite offending. I had a short yet pleasant experience during my stay in Boracay. All of my friends shared positive experiences. I have friends who are regularly visiting the island. Hence, it was quite hard for me to accept your judgment. Although I must agree with their common sentiments, Boracay was way better years ago. Back when, airfares are very expensive, there were few choices for accommodation, limited electricity and lesser business establishments around. As most of my fellowmen would claim, when commercialism was not yet prevalent. When I visited Boracay, it was already invaded by different business establishments and tourists. Despite of this, Boracay still gave me a great experience. I even visited during the peak season of April to May. Yes there is the crowd, but I managed to find my own happiness. I avoided the crowds, tried different restaurants and enjoyed walking on the white sand. And speaking of peak seasons, did you visit Boracay during the month of December? Unfortunately, Christmas to New Year happens to be another peak season. I wish you have encountered another blogger or found someone have informed you about this. That way, you were prevented from the crowd that irritated you. I decided to hear your side of the story. I checked your blog, which is not surprisingly most viewed by Filipino netizens. 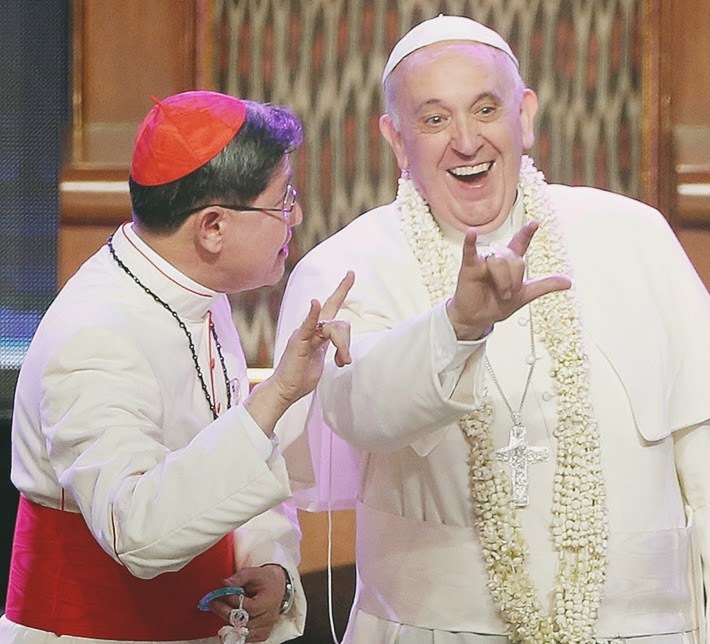 Oh Anna, you have to thank my fellow Filipinos for the hits and increasing your page ranking. Haha I guess, we deserve another visit from your travel list then. I made this post not to initiate an intellectual debate or cyber quarrel. I am not meant for confrontations and arguments. I intend identify the possible loopholes that contributed to your unpleasant experience. As I was reading your story, I felt that you were misled and lacked sufficient research I should say. Allow me to enumerate some points that could have been considered prior to your trip. 1. Nightmare of getting to the island : You have another option through the Caticlan Airport. The disadvantage however, smaller turbo planes and airport. If your concern is to maximize your stay and reduce travel time, I hope someone gave you information about the Caticlan now Boracay Airport. 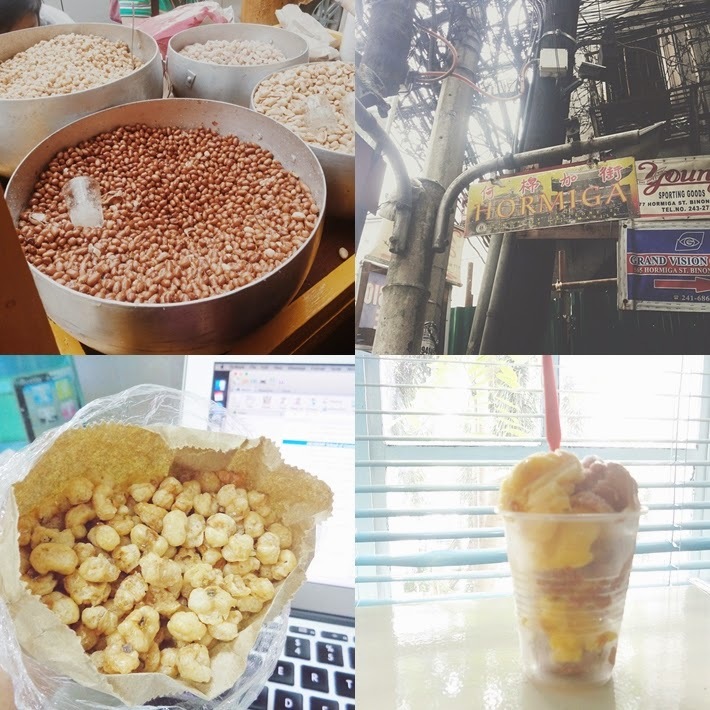 When I traveled to Boracay, I considered myself as another budget traveler. Hence, we decided to take the Kalibo flight. I didn't regret the longer travel hours because I enjoyed the scenic view. You mentioned taking the bus with the noisy and excited teenagers. The teenage kids were probably excited. Consider it as part of their growing up years. :) We have been through that stage. If you can't really bear their noise, you should have relayed your sentiments to at least one of them. Say your piece or forever rest in peace. Haha Complaining and voicing out your sentiments is not prohibited in the Philippines. The Filipino kids also know how to value elder and older people. They will surely respect your request. As I read your post, I somehow felt that you tend to dislike interaction and disturbances. I don't know how and why you opted for the bus ride to Boracay Port. You actually have an alternative, the mini vans that transports lesser number of travelers. Lesser fellow passengers, possibly lesser stress for you. Although I think the buses are good because they provide better seating position. In my case, we opted for the mini vans and my comfort was not sacrificed. My exhaustion from the flight was relieved by the scenic views. I hope you noticed that too. I hope someone could have told you to ignore the noise and appreciate the scenery. 2. Crowd of horrible backpackers - You cannot choose your company. People have different reasons for visiting Boracay. As long as you are not engaged in any illegal activity, everyone is welcomed to visit Boracay. How I wish someone told you that Boracay is for diversity and not the best place for exclusivity. Boracay is a melting pot of travelers of both locals and other nationalities. I feel that part of you longs for those quiet, secluded and serene beaches. You often emphasized the crowd, noise and all those disturbances. Should I know you and your preferences, I would have recommended the beaches in Palawan, Bohol or Caramoan. As I see it, your personality is more suited for the less occupied beaches. Although you mentioned in one of your comments that you went to Bohol and found it way better. I'm quite happy to hear that. 3. I hope someone told you to do island hopping - I assume that you only stayed in the White Beach or the main beach. Oh Anna, you missed a lot! There are adjacent beaches that are more secluded, quiet and less populated. I hope you found the booth that offers accredited island hopping packages. You could have tried reef walking, para-sailing, and island hopping. These activities should have kept you away from the crowds that annoyed you. 4. Your choice of hostel - You never mentioned that name of your hostel. I also don't have information how did you end there. I will assume that you are on a budget travel. You should have stayed in Casa Pilar. It maybe more expensive than your hostel but the cottages and room were built with enough privacy. Casa Pilar will not cost you an arm and a leg. 5. The timing of your visit - I assume that you visited Boracay around November to December. If such is the case, I hope someone told you that those months also form the peak seasons. The Philippines has a lot of holidays. When the holiday falls on a Friday, most people head out to the beach on weekends. The Christmas season entails a long holiday break until New Year. If you want to avoid the crowd, these months are not really the best place to visit, including the summer months. You have received a lot of harsh comments. You even mentioned in another blog that you decided not to publish all the comments because it would further give our country a bad image. No one would ever come to visit the Philippines again. Sigh. While I cannot blame my fellowmen, I feel bad that your perception has to end up that way. With the way things are going, the chance that you will visit the Philippines again is almost impossible. I hope and pray that in the course of your travel adventures, you will encounter a Filipino who can render a kind gesture you will really treasure. 6. The dirty beach - Yes I agree that a section of the White Beach is filled with green algae. There are however several areas that are still clean. The secluded part of Boracay is contained in Station 1. Station 2 is where most people stay. A segment of Station 3 is also nice. I wish you had the chance to see the shores of Station 1 towards Discovery Shores and Shangri-la Boracay. You will surely love it there! I know, it's expensive but a Day Tour will not be so bad. How I wish someone gave you a free stay in Shangri-La Boracay. First work week of 2014! As compared to the previous months, my enthusiasm for work was better. I'm happy to report that I'm beating my deadlines. Almost all of my tasks are getting accomplished, quite a surprise for me because I was expecting to start things slow. I think my longest phone conversation with my friend W helped a lot. My struggles are still there but W made me appreciate my work better. While I'm doing well with work, my foodie intakes seem to be positively correlated. The food cravings and intakes are intolerable. 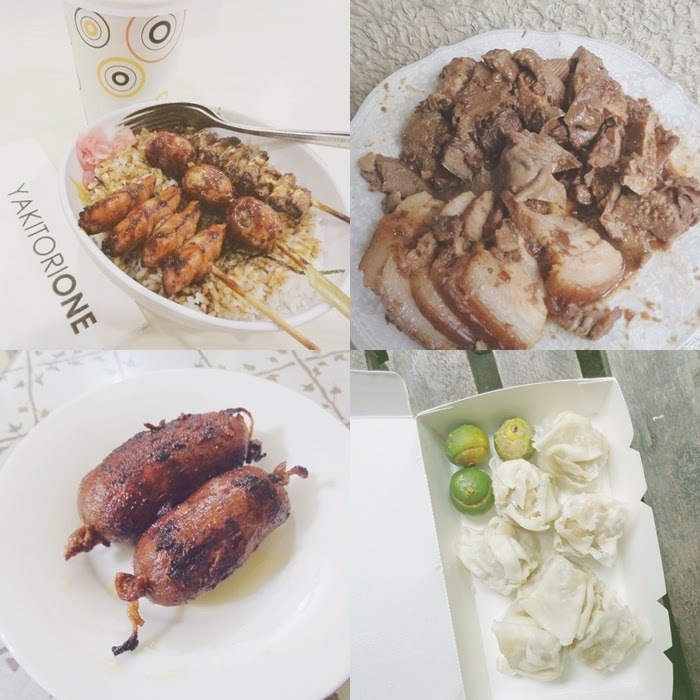 Grilled pork, cakes, fried dishes, I'm suddenly dreaming of them in the middle of the work day. If this is the trade off of becoming a good employee, then I'm afraid I have to be awarded with higher medical allowance and real gym membership. 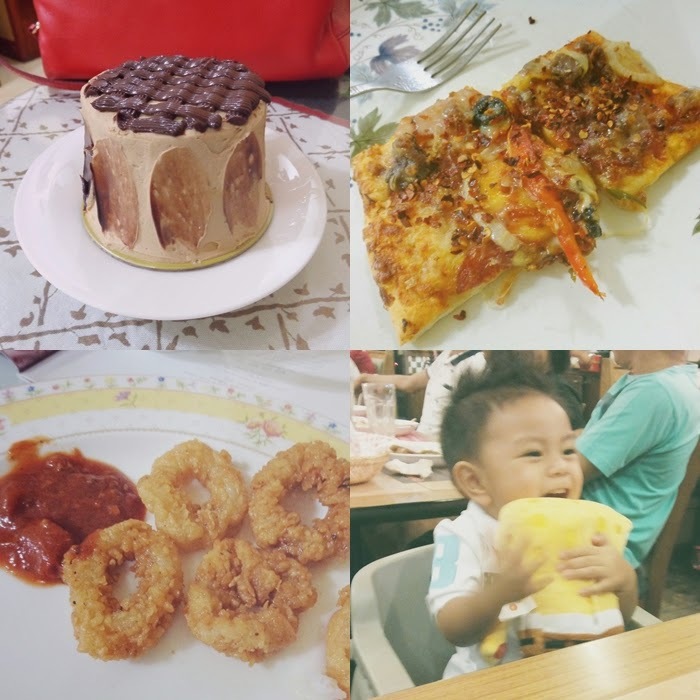 ;) Here are my weird and few food indulgences last week. 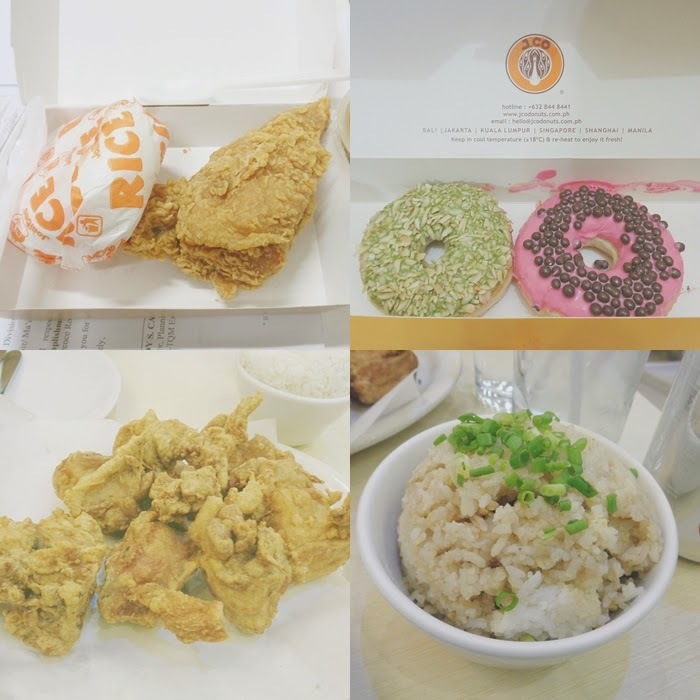 Jollibee's Chicken Joy - Who doesn't love Jollibee's Chicken Joy? I have loved their fried chicken for as long as I can remember. I cannot count how many times I rewarded myself with the juiciest chicken and classic gravy. Sincerity Chicken - I have to force my friend to accompany me to Lucky Chinatown Mall for another fried chicken craving. Guess where? Hi there Mr. Postman! I have to drop by one of my favorite places on earth for some personal and work related errands. The architecture of the Philippine Postal Corporation will forever be one of my favorites. 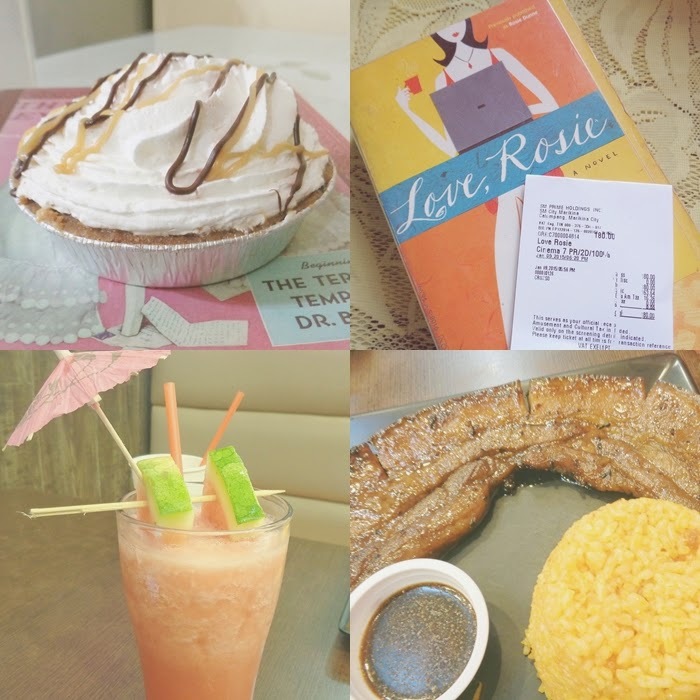 The best way to end the first work week is to indulge myself with food and a great movie. Banoffee Pie from Starbucks - I had a lot of this during the holiday break. Blame all the Starbucks GCs I received as gifts last Xmas. Hahaha I used to love Red Ribbon's version, which for no reason at all, was removed from their menu. Love Rosie in the big screen - Oh finally! I have mixed feelings about the movie. I don't want to provide spoilers but what I love best, the filming locations were perfect. Any suggestions as to what brand should I get? How much does one costs in SM Appliance Center or Robinsons? The title of the book was more than enough to capture my interest. 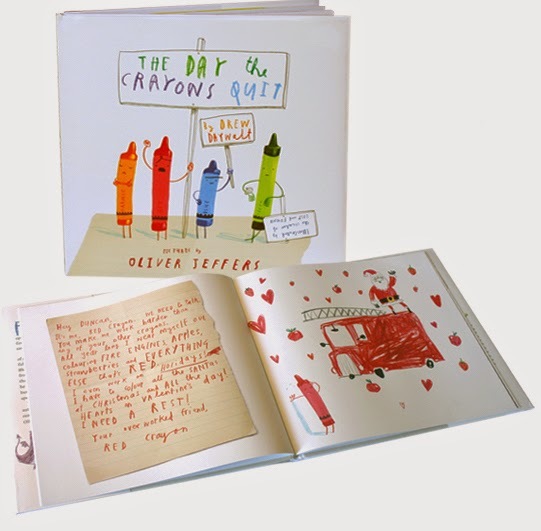 The Day the Crayons Quit, it sounded cute and interesting. I encountered it from Goodreads being the 2013 Book of the Year. I thought it would be a light and humorous read for adults. There will be hilarious analogies about adulthood told in the perspective a kid or be that, the crayons. When I checked the book from different online stores, I was surprised to see a hardbound children's book. Actually, almost a picture book intended for pre-schoolers. Given that it's printed in hardbound, thick pages, huge fonts, colourful illustrations, the book will be surely expensive. True enough, it costs more than my regular paperback. So even though I wanted to purchase, I decided to search for free or cheaper ebooks. I was unsuccessful but I found a unique alternative... Youtube! There were story telling sessions that showcased the book. Not bad :) I treated it as my first attempt to experience an audiobook. So there, even though the book is intended for kids, its meaning also appeals the grown ups. This is one of the few books that disprove Melanie Marquez's famous line, don't judge my brother, he is not a book. Hahahaha Okay, don't judge a book by its cover. The book has an attractive title, cover and all the illustrations. Allow yourself to get deceived because the book is more than attractive. It has its own humour, structure, story and hidden yet valuable messages for the kids and kids at heart in us. Holiday break is really over. Tomorrow I have to wake up early again. I'll be starting the work week with my early morning classes and continue the afternoon with my office work. Sigh. Time to face reality again. 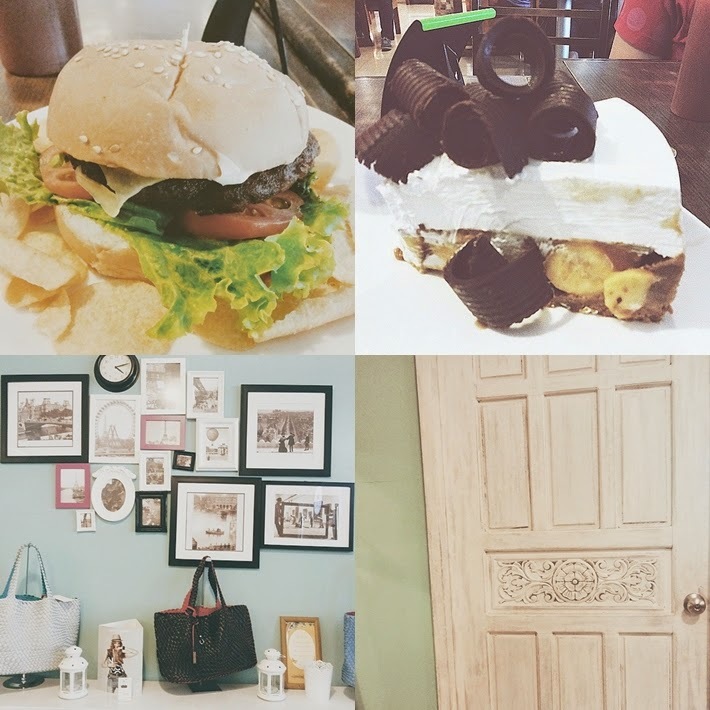 :) Before I fully embrace 2015, let me recount the few beautiful things from the last week of my holiday break. 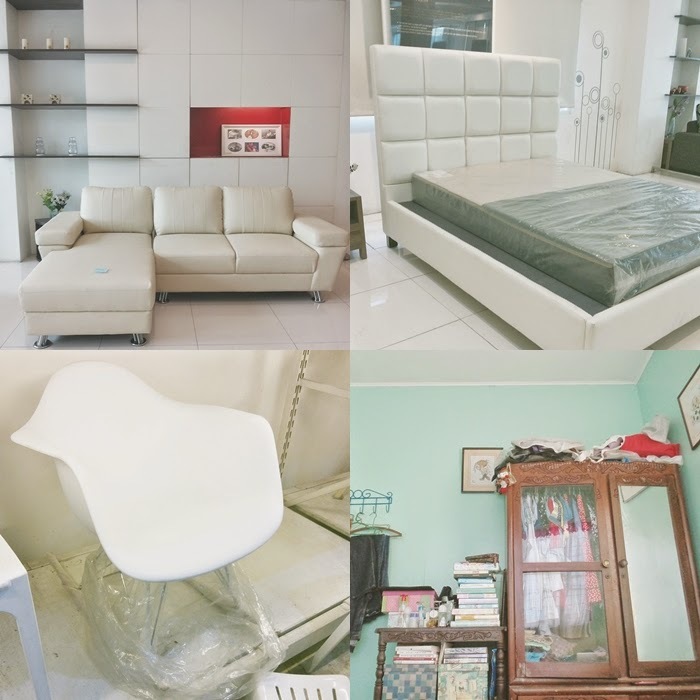 Had a short trip to Uratex to purchase some custom size foam for our living room - I explored the showroom and was surprised to see pieces of nice furniture. I love the living room set up, exactly what I want for our home. Another item in my wish list is a bed that comes with a real head board. I also found a replica of the Eames Rocking Chair. The signature chair retails for $ 499 (around Php 22,000) while Uratex version costs around Php 2,000. The last photo was taken from my room yesterday morning. - I have to push myself to declutter. I started Saturday afternoon, felt sleepy and ended not accomplishing anything. I remember an online article which supports my traditional decluttering tradition. I forgot the author and the link, but I would love to join the challenge of taking away at least 100 useless items before the new year starts. Yakitori One - Another favorite! If only they have branches areas near me. I was able to have my most awaited Yakitori meal from Robinsons Magnolia. Chinese Asado - My cousin's family never fails to give us a plate of this meaty dish before Xmas of New Year's eve. Pork and beef overload! Garlic Longganisa from my Mother's hometown - I love Bulacan's longganisa because it's way different from the sweet flavored meat sold in supermarkets and groceries. The version of my mother's hometown is overpowered by a natural garlic flavor, real and full meat and no artificial coloring at all. Cheapest Dimsum - Minus the chili garlic sauce, this will continue to become a part of my tiring weekdays. 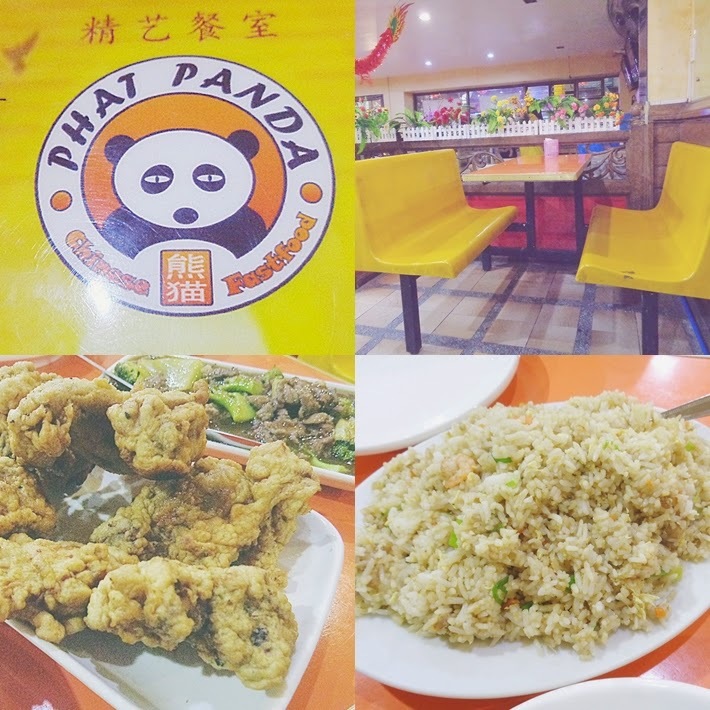 Comfort food for two, not bad for Php 50. Life is a piece of cake, I really hope so - Got this mini cake from Figaro (I think one of the underrated coffee shops in Manila.) I love this reasonably priced mocha devil's cake. New Year Eve's leftovers - Pizza slices and calamari in tomato sauce, all I need is a nice oven to reheat all the food left from New Year's eve. Yellow Cab Interiors - The industrial interiors of Yellow Cab always impress me. Last week to see this - Christmas is really over but my prayers, wishes and faith remain the same.